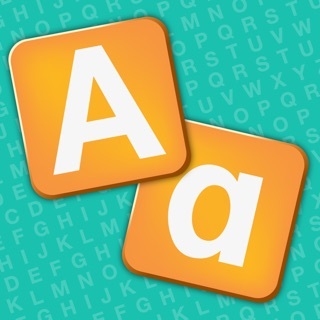 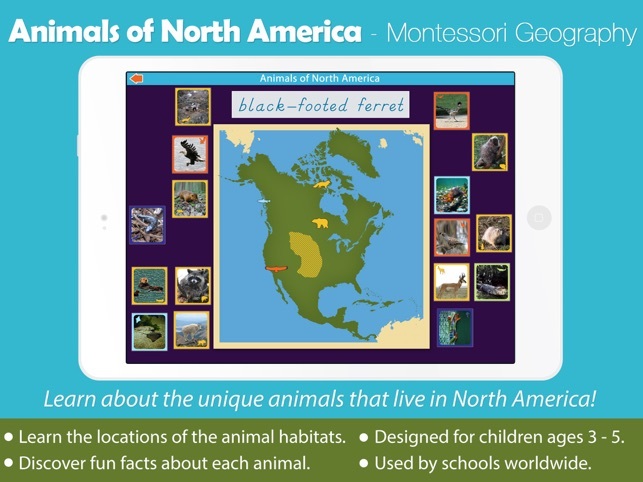 Learn about the animals of North America and their habitats! 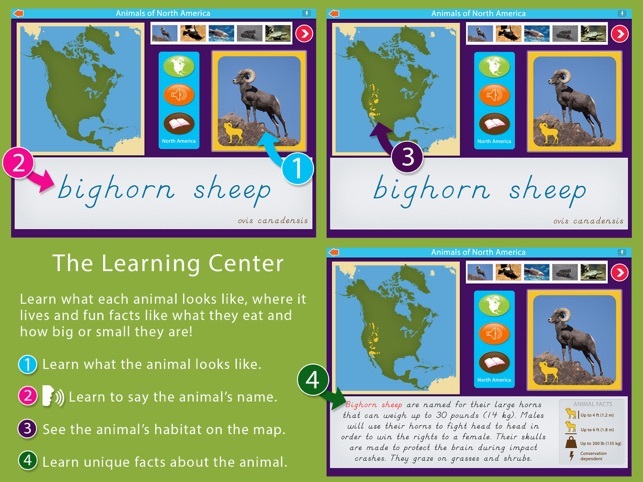 You will learn where each animal lives on the North American continent, several facts about each animal, and their current conservation status. 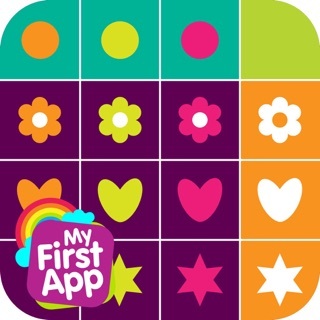 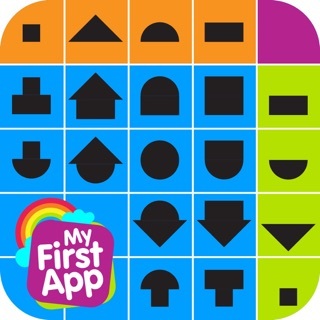 We sincerely thank you for your support of our other Montessori applications and hope you enjoy this one! 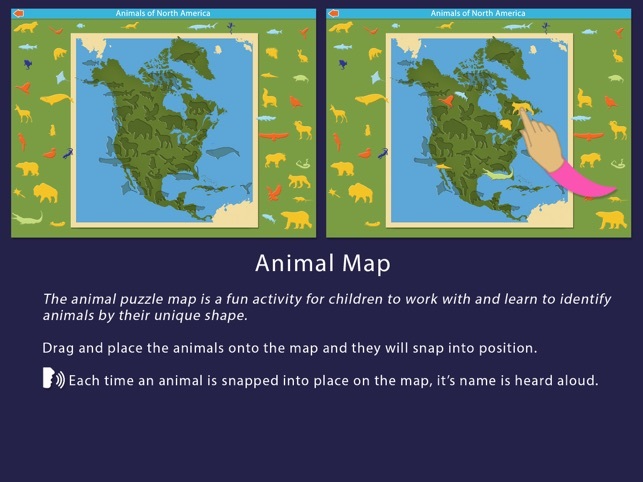 We've added a new activity: The Animal Map! 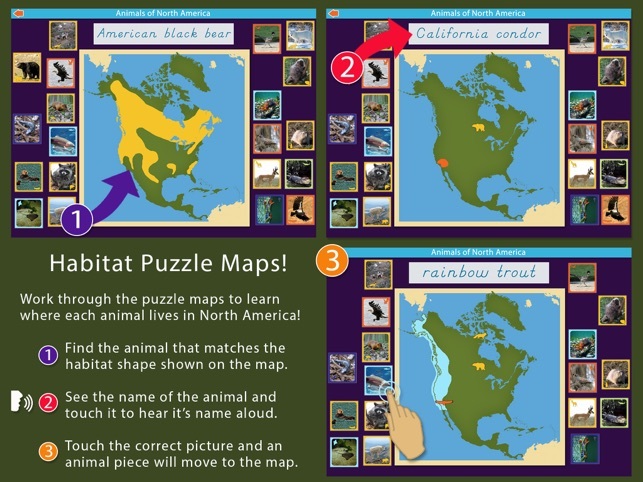 Drag and place the animal shapes onto the map. 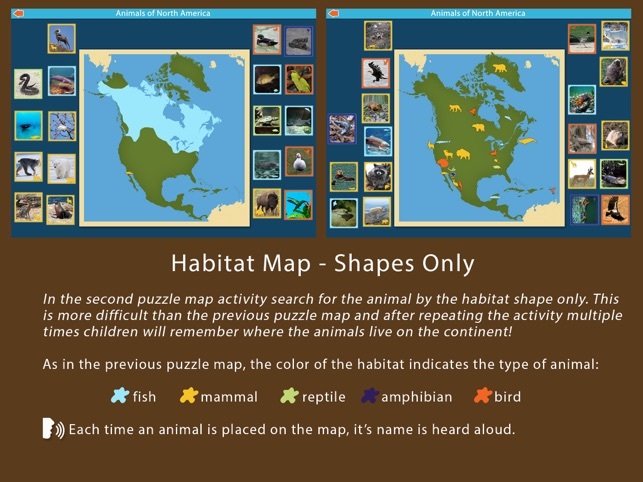 When you matchup the shapes correctly, the animal piece will snap into position on the map and the name of the animal can be heard aloud. 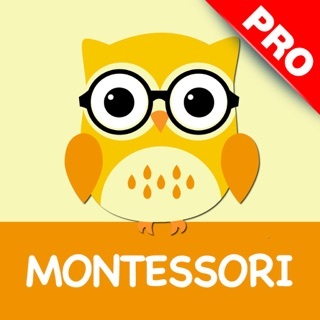 Thanks for your support of our Montessori Geography series! 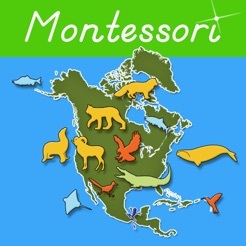 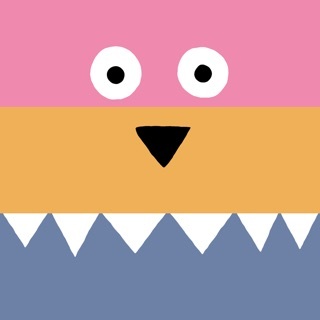 Stay tuned for more Animals of the Continents from Mobile Montessori! 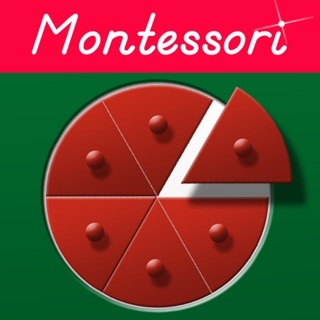 © 2016 Mobile Montessori by Rantek Inc.